Finally, after all the fanfare, Sony put all of the PlayStation 4 rumors to rest with the official announcement a short while ago, and if you’re looking for the when, where, and what, we’ll be clarifying all of the available key details in the following post. With so many new features and implementations, it is a lot to digest, but stay tuned for the full round-up after the break. As mentioned in our earlier post, the PlayStation 4 features a PC-like architecture, and packs in an x86 processor, a powerful PC-grade GPU to churn out those stunning graphics, 8 gigs of DDR5 memory and also features a massive internal hard-drive. 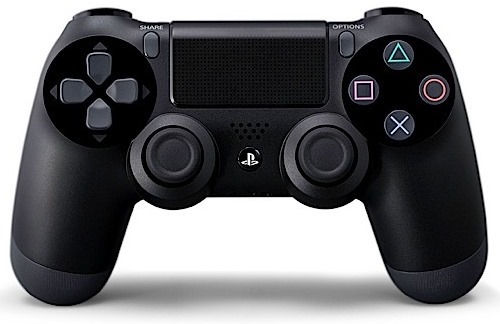 The PS4 controller is also a new piece of hardware on its own, and the DualShock 4 controller is bound to impress with what it has to offer. It features a touch-screen, and on the rear we have a light bar which aids in identifying players. 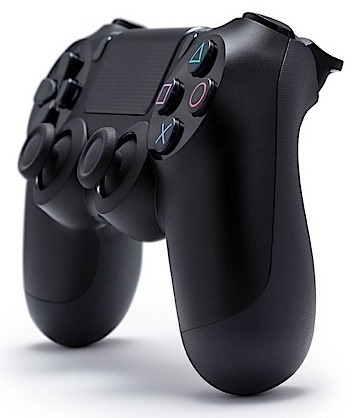 A headphone jack is also present in the controller, which we’re guessing would be used for that all-so-important voice chat during multiplayer gameplay. 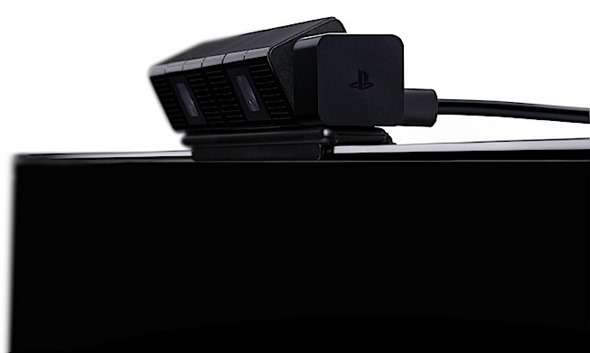 The PS4’s built-in 3D camera detects the player using the aforementioned light bars. Fancy stuff indeed. The PlayStation 4 will also include some nifty video-sharing features, such as the ability to stream video from games as you’re playing them. Additionally, you can watch the games of friends over the PlayStation Network, which makes the system a whole lot more integrated and social. You will also be able to share videos and screenshot from games to services like PSN, Facebook and Ustream. This is part of Sony’s quest to make sharing of video as popular as possible on the PS4 as screenshots are today. 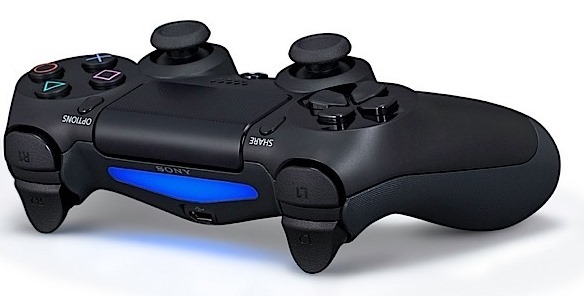 PS4 will allow gamers to remotely control games their friends are playing to help them get through a tough spot. There’s heavy integration, as to be expected, with the PS Vita, and Sony even made comparisons with Nintendo Wii U and NVIDIA’s Project Shield in outlining its intentions at the announcement. PS Vita integration will allow gamers to play and resume PS4 games on PS Vita seamlessly via Remote Play. Companion apps will be made available for iOS and Android which will turn the said powered devices into a second game controller for PS4. The PlayStation 3’s roster of games will not immediately work with the PS4, but the PlayStation Move controller does. Just as Microsoft is said to be preparing a Kinect 2.0 to be bundled along with the next-gen Xbox, the PlayStation Move could perhaps have done with an upgrade of its own. But hey, at least it still works. The look and feel of the UI is set to change dramatically. The XrossMediaBar will make way, and the new look closely represents the look of the PlayStation Network of late. Although it’s a bit early to cast aspersions, it looks good, and it’s hard not to get a little bit excited about Sony’s upcoming release – even if we don’t yet have the next-gen Xbox to compare it to. When streaming a video or music track online, one can begin viewing, or indeed listening, while the download is in progress. Recognizing how useful it can be to start enjoying content before the whole download has completed, Sony has applied this same mindset to games, and now, eager gamers can begin playing their online games before the download has reached the magic 100 percent. Based on Sony’s well-documented purchase of cloud company Gaikai last year, it means you needn’t boot before playing your downloaded title, and the system also allows downloads to run in the background and additionally, when the machine is powered off. PlayStation 3 titles won’t be supported natively, confirmed Sony. All PS1, PS2 and PS3 titles will be playable using Gaiki streaming technology on PS4. The first brand-new title is Knack, which is being developed in-house by Sony’s Japan studio, hopefully to serve to other developers as a model for what PlayStation 4 games should look like. The game seems to depict a robot comprised of small pieces of metal junk, which can be acquired or shed in order for the character to either grow or shrink in size during different stages throughout the game. Another prominent title is Killzone: Shadow Fall, the newest member of the Killzone franchise, also developed by Sony, which also takes full advantage of the new graphics capabilities of the new console, such as amazingly realistic explosions and greatly enhanced graphics all across the board, making this shooter just a lot more engaging for current and new players alike. There are quite a few third-party games that are worthy of note, such as Drive Club, a great racing game that, while not necessarily photo-realistic, it comes quite close. Powered by Evolution Studios, the new title features greatly enhanced social and multi-player features, as well as integration between smartphones and tablets. Another element of the Infamous franchise, Infamous: Second Son, is an exclusive PlayStation 4 title developed by Sucker Punch. For those interested in 3D puzzlers, game developer Jonathan Blow showed off The Witness, an exclusive PS4 title which has been in development since 2010. Two already announced games: Destiny, by Bungie, and Diablo III, by Blizzard, will also make their way onto the console. Watch Dogs from Ubisoft was also showcased at the event. New Final Fantasy title for PS4 will be announced at E3 this year. Given that no one has seen the actual console yet, only being aware of some of the hardware specifications, it is a great first sign that developers seem to be embracing the platform quite quickly. We can all hope for many hours of fun when the console finally hits shelves later this year. No new console is complete without killer graphics, and the PS4 does not fail to impress in any way. And the PS4 is a giant leap in terms of graphics apart from its entertainment features. It’s safe to say that console graphics have reached a level where everything looks real life-like, something which we couldn’t imagine during the life of previous generation consoles. To give you a perspective to how much the graphics have improved, the characters in games back in 1999 had up to 350 polygons, that number was bumped to 1,500 in 2005, and now, we’re sitting at a staggering 30,000 this year. In layman’s terms, we’re talking the future of graphics, everything is close to reality, your first-person shooters look more immersive, racing games have more depth. So, to the all-important release date. Sony hasn’t been specific in offering an exact release date, but they have confirmed that it will be available in time for the 2013 holiday season. As far as price, we’re going to be left waiting unfortunately, although the rumored starting price of around $429 has been corroborated by several sources familiar with the movements of Sony.